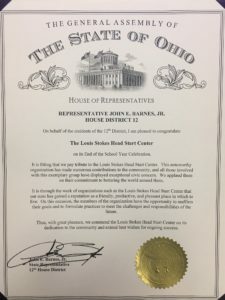 CEOGC’s Louis Stokes Head Start Center was recently honored with a certificate of recognition and appreciation from State Representative John E. Barnes, Jr of House District 12. Each Louis Stokes staff member was thanked for his or her exemplary service to the community, gaining a reputation for a friendly and productive place to reside. 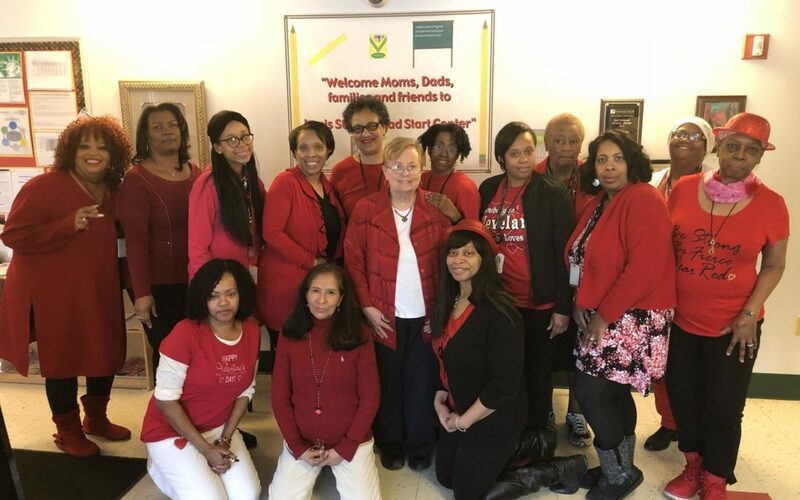 Special thank you to the Louis Stokes Site Administrator, Thelma Bizzell, for continually creating a quality atmosphere for the centers’ students, families and staff. As an organization we strive to fulfill our mission – to invest in people, nurture their success and transform lives.